What are the threats to the aquatic life in our pond area? 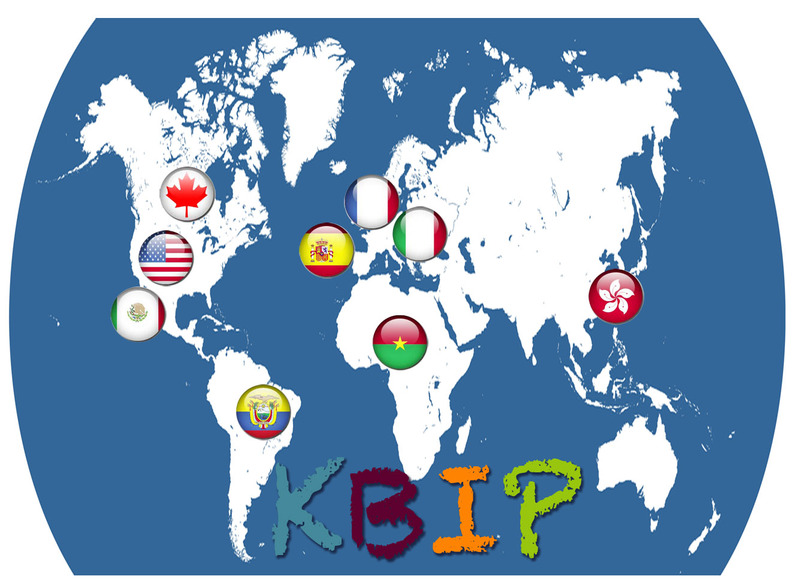 The Knowledge Building International Project (KBIP) is a knowledge building project between schools in several regions of the world including Québec, the United States, Hong Kong, Mexico, Colombia and Catalonia. Singapore has been the host of the Knowledge Building Summer Institute 2016 (KBSI 2016) last June. This has contributed to promoting and intensifying the knowledge building pedagogy in the educational network there. Classes from Singapore are actually joining the KBIP Knowledge Forum (KF) version 6 (beta version) to familiarize with this next-generation KF and may be interested in establishing international collaborations. 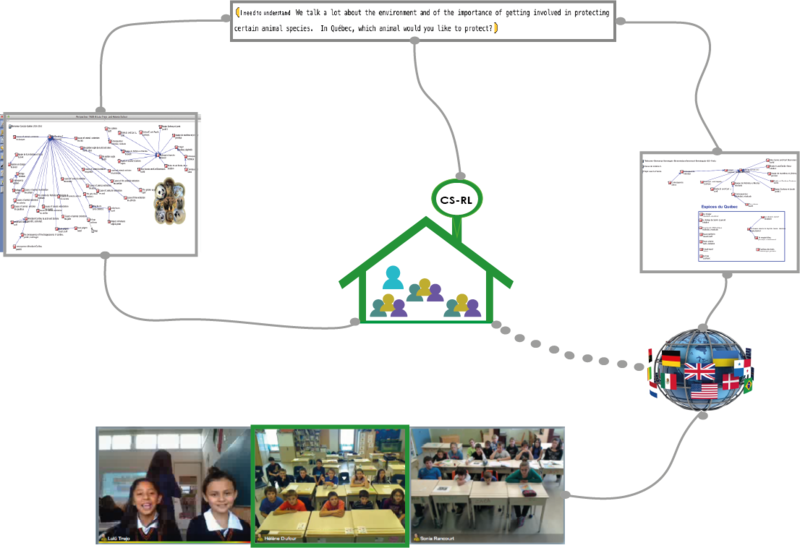 This present school year (2015-2016), many classes from Quebec Networked Schools (École en réseau in French) still collaborated with other classes internationally through KBIP. There have been collaborative work, notably between classes of the Côte-du-Sud School Board and classes from Catalonia, in Spain.In addition, several classes from RNS have joined the French section of KBIP, named RiF_CO. 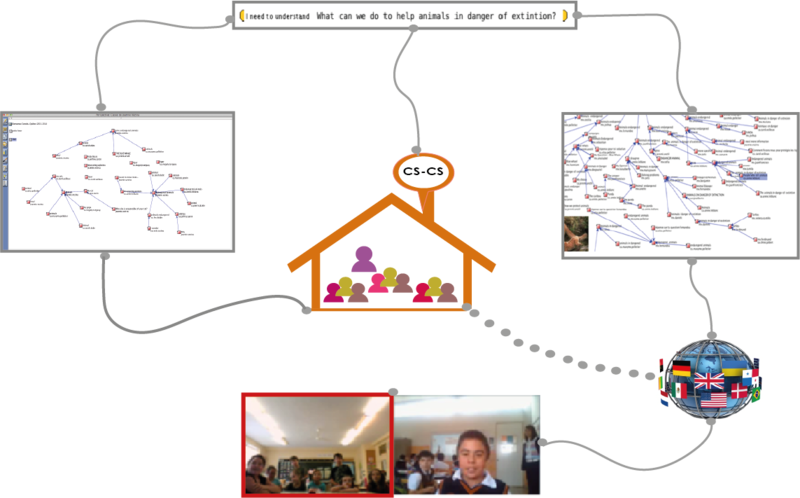 Defining together "Smart school" : an investigation by the students of KBIP. Since last October, high school students of Michelle Landry of the Côte-du-Sud School Board (Québec) are working with the class of Maria Oliveras of Catalonia. The subject of their investigation is Smart city. In drafting their initial views on the subject, the students had several ideas that led them to further question the smart school. The Knowledge Forum view was soon filled with promising ideas and contributions. 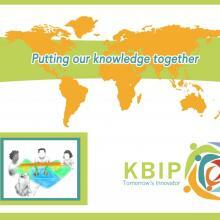 Read more about Defining together "Smart school" : an investigation by the students of KBIP. 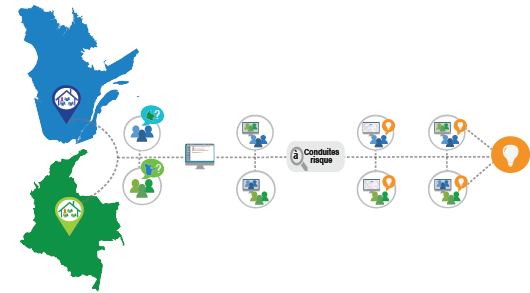 A timeline of Tomorrow's Innovators work during 2013-2014 have been created. Follow this link to open it. 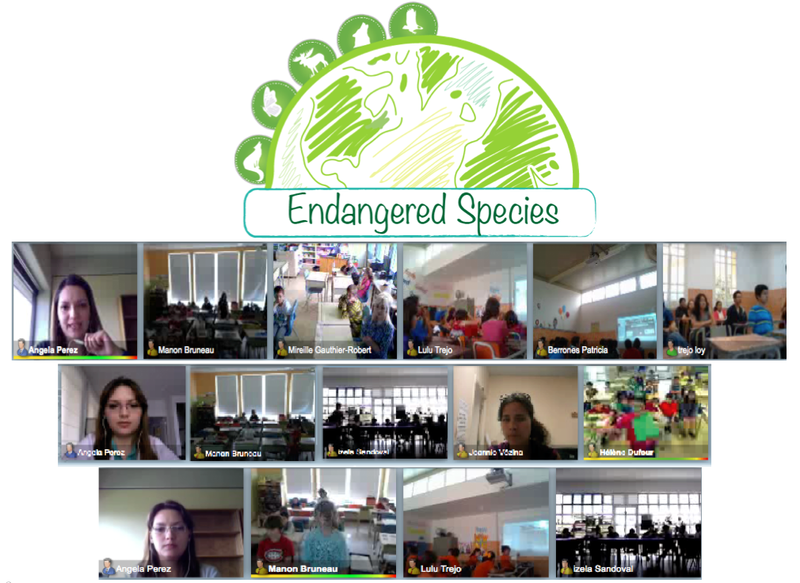 Students working on "Endangered Species" along 2013-2014, presented their findings during a series of videoconferences held on May 30th, and on the 6th and 13th June. These findings included a description of the species chosen and on a list of behaviours that could produce a positive effect on their preservation. A description of each class's work was presented at the beginning of the meeting. Students between 12 and 14 years old participating in KBIP worked collaboratively on risky teenage behaviours. The class from Quebec of teacher Vivianne Bédard-Thibeault (CS-Cœur-des-Vallées) and the class from Colombia of teacher Perrine Blanc (Lycée Français Louis Pasteur) exchanged their ideas about risky behaviours existing in their contexts through contributions on the KF and during a series of videoconferences. This project was also an opportunity to present their regions and to exchange questions regarding different topics. To have more information about the activities developed during this partnership, please click here. On May 30, the classes of teachers Joannie Vézina (CS-Côte-du-Sud) and Hélène Dufour (CS-René-Lévesque) presented their findings from the collaborative work with classes in Mexico part of KBIP. Twoother presentations will take place on the 6th and on the 13th June, where other participating classes will share the work. A series of closure meetings will start on the 30th May. In order to acess the Presentation Schedule please click here. Save the date for our International meetings! Classes from Elementary schools from Quebec and Mexico working on Endangered animals will meet on May 30th, June 6th and on June 13th in order to present their work during this academic year (2013-2014). Read more about Save the date for our International meetings!
. On May 12, Vivianne Bédard's class from Quebec (CS-Cœur des Vallées) and Perrine Blanc's class from Lycée Français Louis Pasteur de Bogota (Colombia) had a second meeting by videoconference. In order to prepare this presentation the two classes discussed on the Knowledge Forum about what they wanted to know and submit to the other class. Simultaneously, the students began their contributions to the first bif question: "In your opinion, what is a risky behavior? ".